The new DCF collection is here! 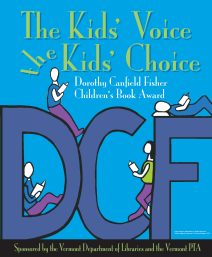 I am excited to share with you the new collection of Dorothy Canfield Fisher books that are added to the library this year! Please take the time to watch the video that will give you some information on each book. Be sure to check them out from the library! Every year I have the pleasure and excitement of sharing the nominated Red Clover Books with the K-3 library students. Here is the group we will be reading this year!